I bet you thought that Cole Blaq built this, huh? He didn’t…which means the trend is spreading. That’s fine by me as long as the bricks turn out as cool as this one. 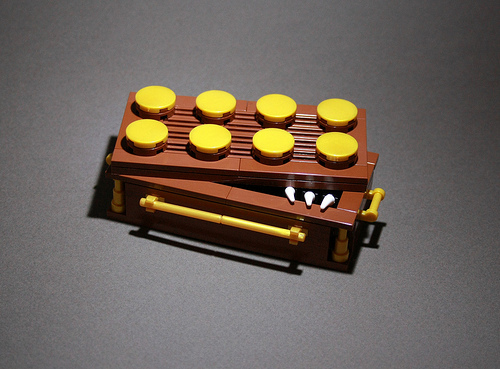 Ken Robichaud is the actual builder of this creepy coffin brick.